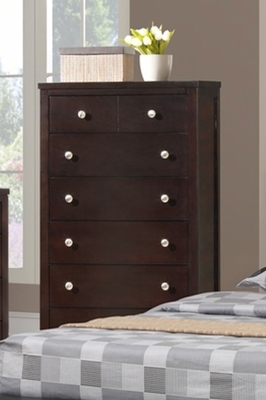 Contemporary artistry and excellent craftsmanship is delivered with this dark espresso bedframe. 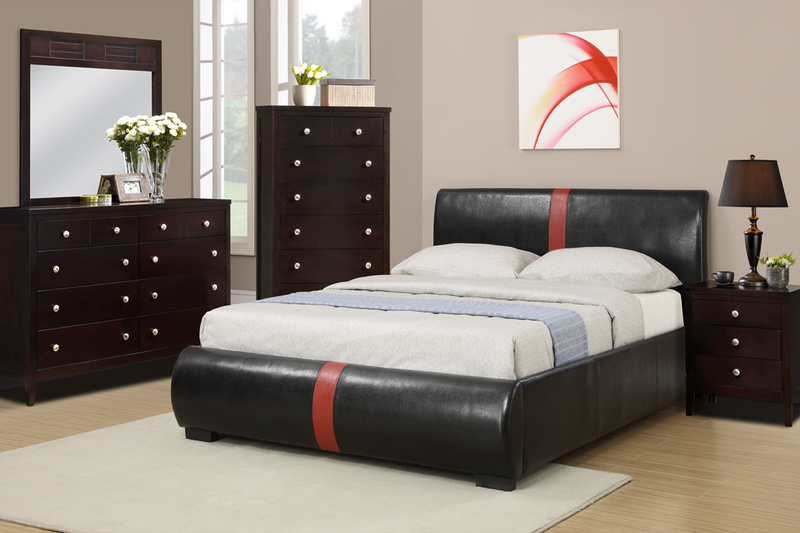 Featuring two column panels on the headboard and paneling on the footboard, the geometric lines lends to a bold and modern style. 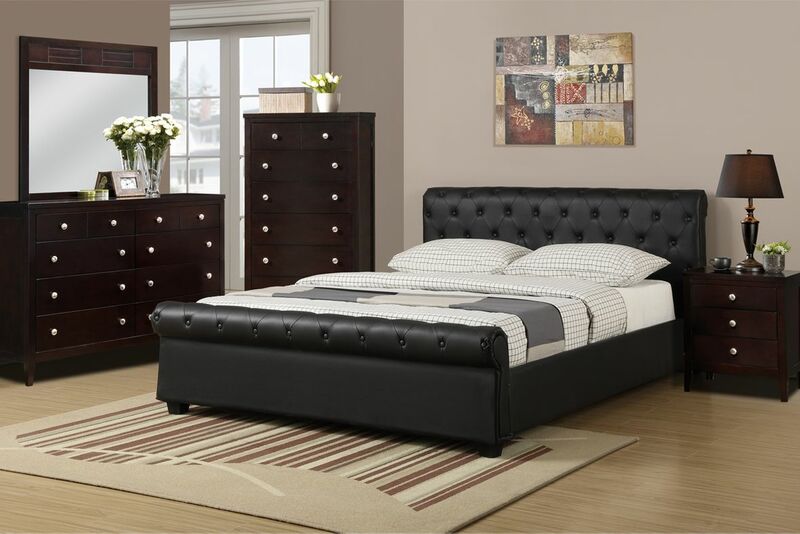 Bed available in a queen or king size.